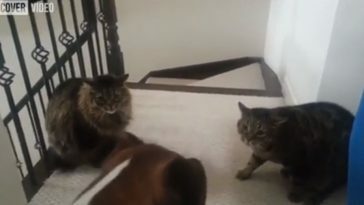 Cats and dogs might traditionally be enemies, but this cute pair is turning tradition and convention on its head for the sake of love and friendship. This video will make you feel all warm and fuzzy inside and that is exactly what cute animal videos should do! 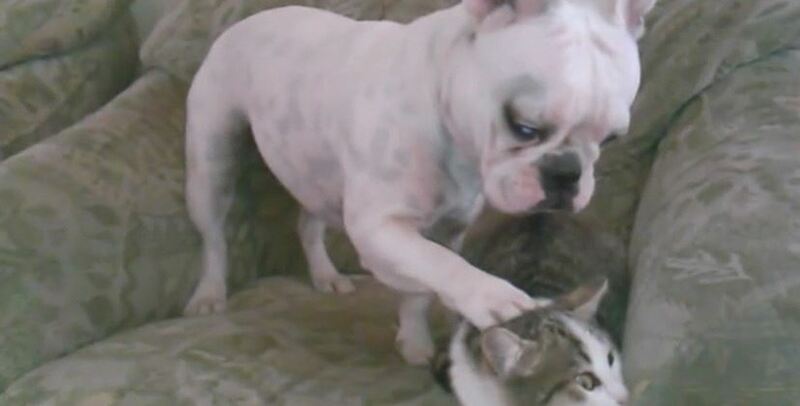 This French Bulldog is making every attempt at a friendship with this cat but he seems to be a bit clumsy! He is trying to stroke his head but is not exactly graceful! We absolutely loved seeing two animals that are supposed to hate each other become friends. It really does make for an adorable watch and one that can definitely be put into the favorites tab for those days when it is all a little too tough. 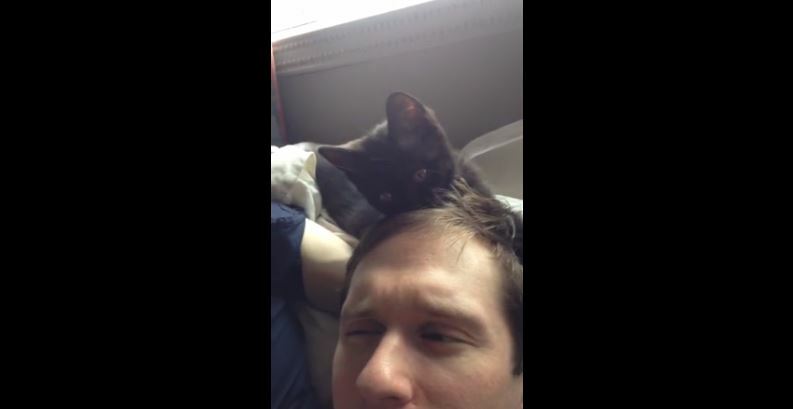 There is nothing quite like cute animal videos for cheering up a bad day and this video is up there with the best. So make sure you bookmark this page so you can come back to it the next time you feel bad. We will keep on putting up great videos for you to enjoy too, so you’ll have a bit of variety when you want to be cheered up. Next article Why Is It Important To Groom Your Cat? 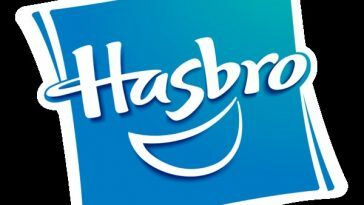 How does the Talk n Play gadget from Amazon work? 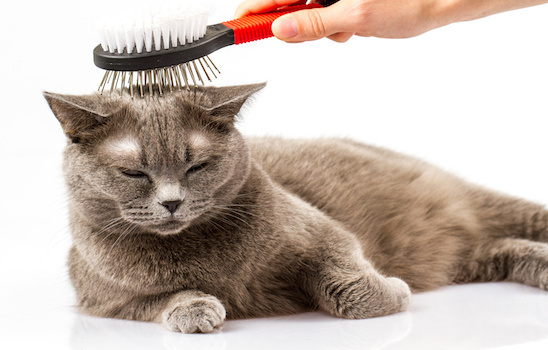 Why Is It Important To Groom Your Cat?